Yay! It's time for one of our favorite days of the month - Book Club Day! As if we need another excuse to drink wine. This month was crazy busy and I didn't get the chance to pick up a single book. So put me in camp "I'm here for the wine!" this month. To kick off September I finally finished Truly Madly Guilty by Liane Moriarty. I was sucked into this book from the start. I kept reading and reading trying to find out the big secret that is typical of Moriarty's novels. The whole novel is based around something that happened at a BBQ between three couples. Each person has their own point of view of what happened that day, and how it has affected them. It seems that the book takes place over the course of a month and keeps flashing back to decisions leading up to that day. At some point I think I figured out what the big secret might pertain to, but once it was actually revealed, and the book ended, I was left feeling a little bit deflated. More so in a sense of I wanted to love the novel, but I felt like it just kind of dragged a bit to get to the end. I do love how it ended (don't want to leave any spoilers - so we can discuss below if needed), but just could have gotten there a little sooner. MOMBOSS was next up for the month. Nicole was nice enough to send us a fun goodie box and our own copy before it hit shelves. I started it just before our Fall Break vacation, and was able to finish it on the car ride up to the beach. Nicole did such a good job writing this book, and it is a great read for any working mom, particularly a mom who is looking to do something in the workforce on her own. From start up to sales to the ever present mom guilt, she shares her wit and wisdom in such a fun easy tone that you can't help but feel that you are talking business with a girlfriend over lunch. 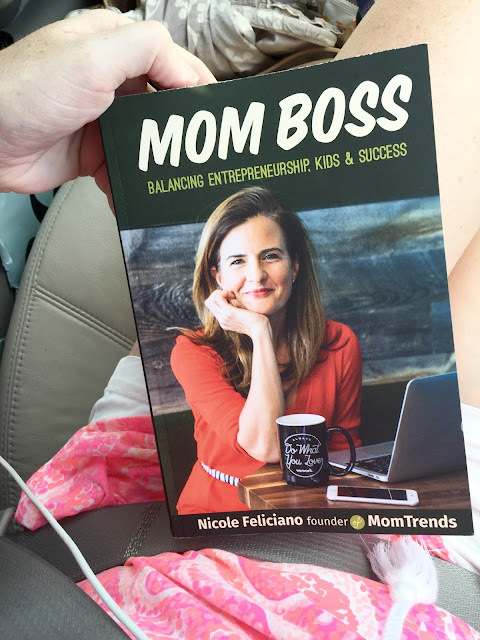 If you have that entrepreneurial spirit inside you, or you're looking for some guidance in something that you've recently begun, I would definitely grab a copy of MOMBOSS to read. I can't remember when I picked up The Idea of Love by Patti Callahan Henry, but I typically love her novels. The car ride home is when I knocked out the bulk of this. You know, in between mom refereeing duty. The Idea of Love follows Ella along her journey after losing her husband. She feels a little lost living in the small seaside town of Watersend, South Carolina when she meets Hunter. Hunter is an interesting man with his own secrets. You follow the journey of their friendship/courtship and find yourself laughing at some of the fun characters along the way. Even though you realize that they aren't quite whom they seem to be, I found myself routing for both of them. 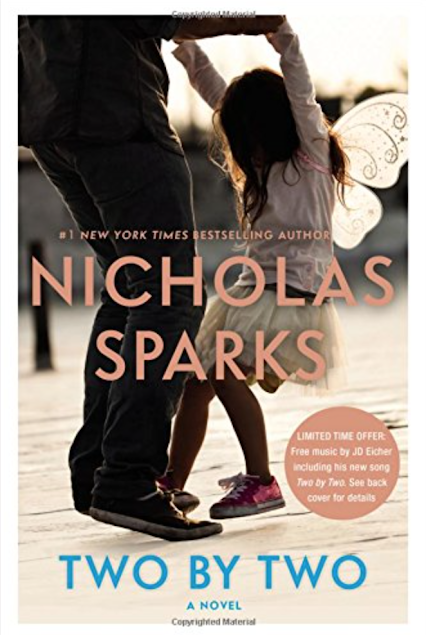 It was a slightly slower novel than I was looking for after reading some heavier things, but once I got about half way through I was able to really enjoy it all the way to the ending. I absolutely loved how it ended! I would definitely suggest it if you are looking for something to add to your "to read" pile. This is still to be determined pending wine drinking doesn't supersede reading priority again. As a big Nicholas Sparks fan, I am always excited when he comes out with a new novel. Up first for October is his latest - Two By Two.